Dr. C. David Scheibert installed the beautiful rose garden and dedicated it on June 15, 1985 to his wife Jean and his mother Luella. 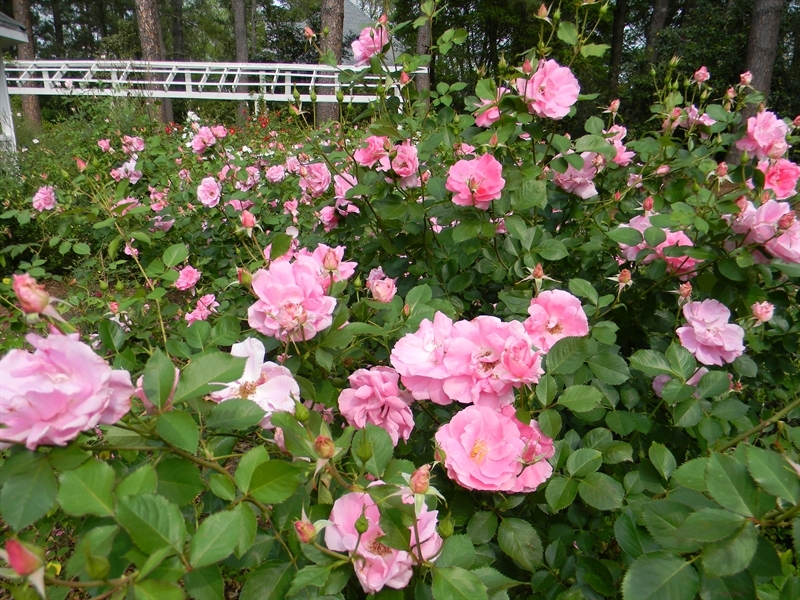 More than 150 drought-tolerant roses fill the area. A gazebo in the center of the rose garden offers a shady spot to relax and enjoy the blooms. A climbing arbor is underplanted with hydrangeas. Featured roses: Apricot Nectar, Baroness Rothchild, Graham Austin, Hot Cocoa, Easy Going, Bride's Dream, Lavaglut, Eureka, Chrysler Imperial, Knockout, Gemni, and Artistry.